Well hello to you my reader chums! March has just gone by super quickly and I can't believe we're now into Spring with Summer coming up, something I'm very happy about! Through the month I've discovered some new gems and uncovered and old favourite. The first product is the highly hyped Mac's Russian Red. I finally got my hands on this in mid February and it since has become one of my top going out lip products. The colour in my opinion is the perfect red, a glamorous dark shade ideal for the utmost occasions and special days out. As its a matte finish, it lasts for a good old while and my preferred choice when it comes to lip products. The lipstick itself is blue-toned, having the ability to make your teeth look whiter, a feature great for that special occasion. 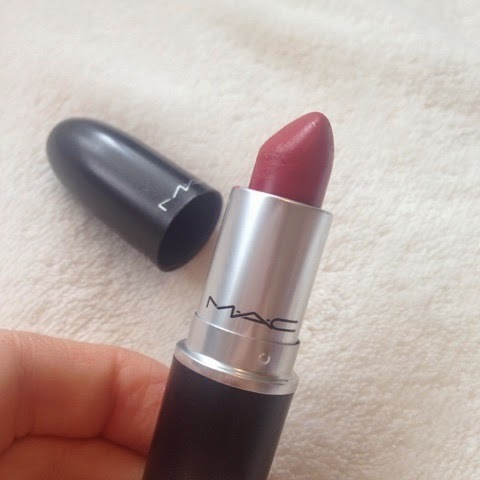 I just adore this lipstick, the finish, lasting power and colour are fabulous. 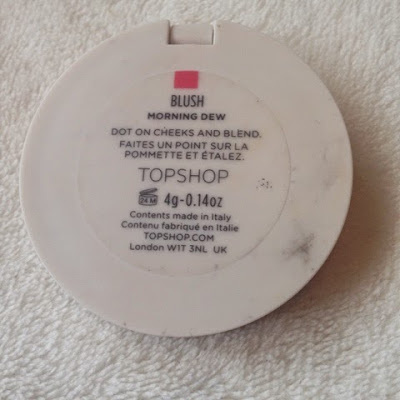 The next item is Topshop's cream blush in 'Morning dew' which used to be a great favourite of mine, however I stopped using it for a while until I picked it up at the beginning of this month. 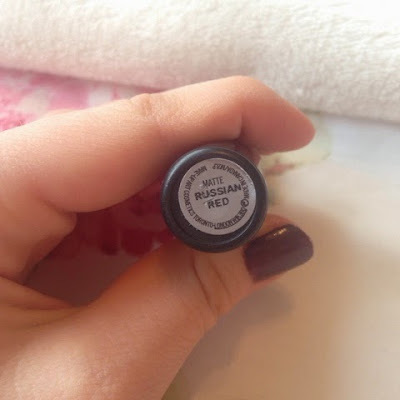 To me its a very Spring/Summer shade and consistency. 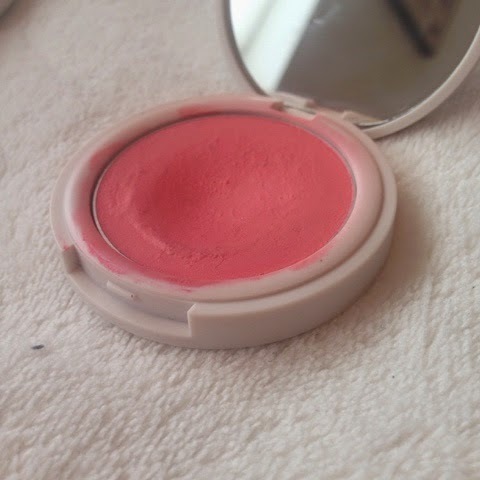 As its a cream blush, when applied its creamy to blend yet has a powder finish. The final look it gives, is a lovely dewy, pinky glow like a beautiful natural flush to the skin. I would definitely recommend the Topshop cream blushes. My nail polish favourite of the month has been another Barry M shade of course. 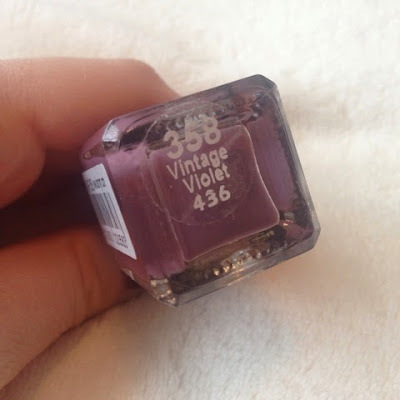 Most of my collection is Barry M with a few other brands thrown in yet I always go back to the trusty Barry M. The shade I've been loving this month is 'Vintage violet'. For me, its a transitional colour from Winter to Spring because the colour is a mid purple, not too light or dark. 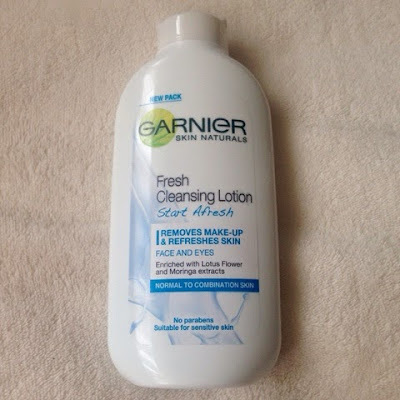 A new skincare addition has been another favourite of the month, the Garnier cleansing lotion in 'Start Afresh'. One of the main reasons I love this is because it helps take off excess makeup/dirt after I've removed my makeup and leaves the skin feeling super soft, fresh and leaves a lovely scent. Its a very gentle product with a creamy consistency and does the job rather well. I also love how it matches my moisturiser because they both have the same scent! 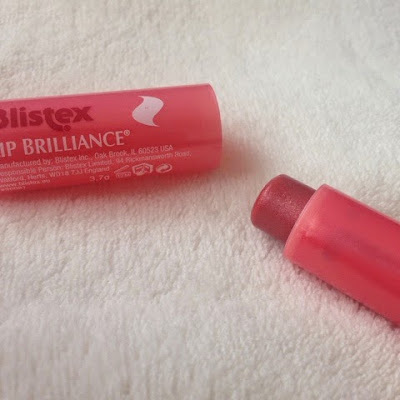 The last favourite is this Blistex lip balm. 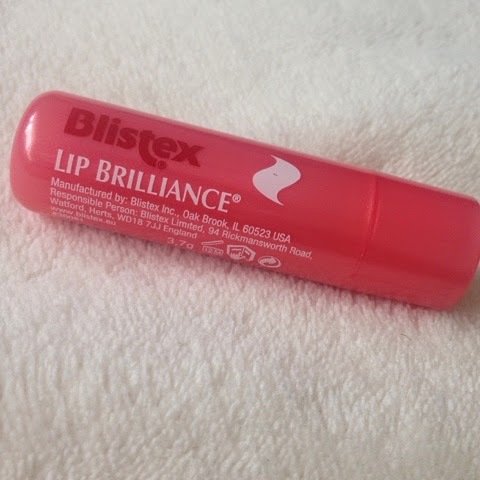 This lip balm has the most delicious smell, leaves a lovely pink sheen on lips and them feeling smooth, a great Spring lip balm. I hope you enjoyed by March favourites. What have you been loving this month? 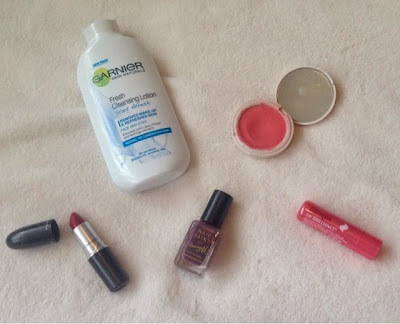 Nice favourites- the blush and lipstick look amazing! I love Barry M :) lovely favourites, I need to try Topshops products! I've been wanting to try the Topshop shop blushes for a while now, they sound lovely! They are, go and give them a go!